Ashamed. Heartbroken. Lonely. Depressed. Scared. These are just a few of the ways your infertile friends feel at this very moment. I have been unsuccessfully trying to have a baby for nearly four years. During that time, I've had four miscarriages, six IVF transfers, two IVF egg retrievals, and lost twins during delivery. Needless to say, I could be president of The Infertile Club. But I know that your ability to have a baby (or many babies) is not what keeps me from having one of my own. I also know you are confused about how to approach me -- afraid your abundant fertility will send me into a deep pit of despair. This isn't a me problem or a you problem; it's an us problem. June is World Infertility Awareness Month. I actually didn't know this until a few weeks ago, but I love the concept because infertility is a worldwide issue. 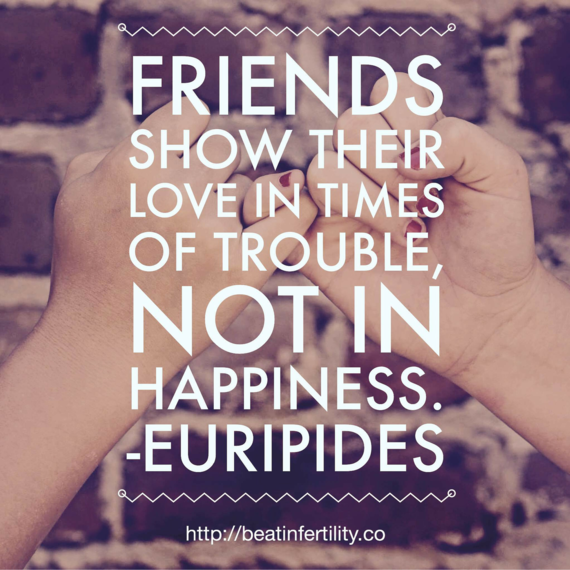 What better time to walk you through exactly how to support your infertile friends? Seriously, just listen. Don't offer advice because I've heard it all. I know how babies are made, and trust me, I've tried that. Just listen to how I'm feeling because it's so lonely to go through this without you. 2. Give me a hug. A nice hug can go a long way. It shows how much you care about me and how I'm feeling without saying a word -- a universal sign of friendship. 3. Admit you do not understand. People say they understand when they really don't. I'd much rather hear that you don't understand but would like to learn more. 4. Offer to go with me to appointments. Do you have any idea how often I'm at the doctor? It's ridiculous. My husband cannot attend every visit or he'd be out of work and we'd really be screwed. And, despite the fact that we're all going through the same thing, the waiting room at my fertility clinic is dead silent. I'd love for you to attend not only for the company, but also to learn more about the process. 5. Ask me how I'm doing. Being infertile is physically, emotionally, mentally, and financially crippling, and I'd love to share it all with you. Especially when you're celebrating Mother's Day, Father's Day, Thanksgiving, etc., think of our friendship and what it would mean to me to have you check in. 6. Don't try to solve my problem. Just because something worked for you or someone else you know does not mean it will work for me. 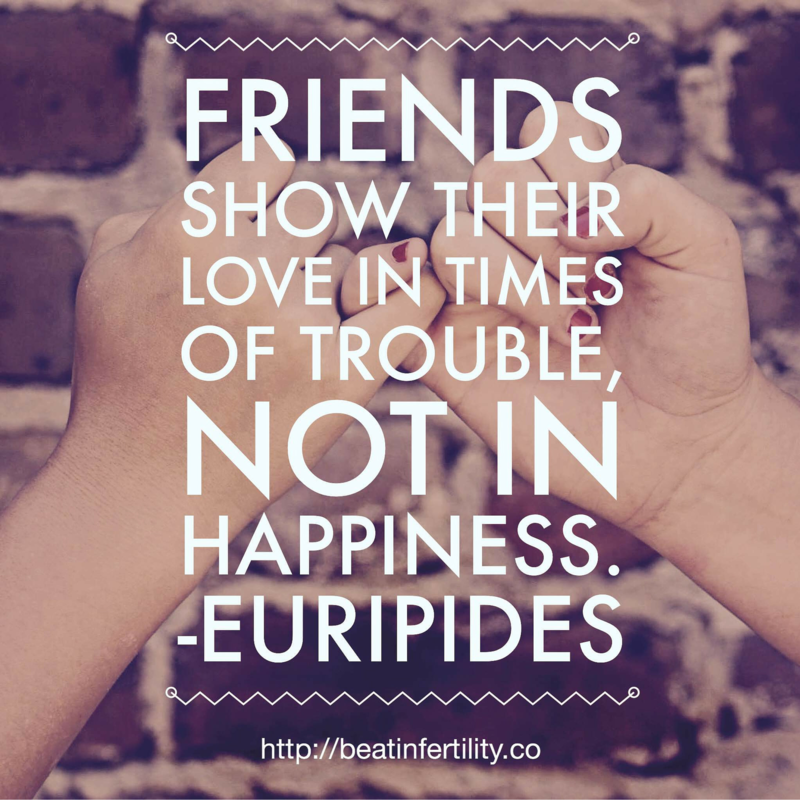 Even if that someone else also struggled with infertility, there are many different types. Chances are, we don't have the exact same problem, and thus the exact same solution will not work for both of us. Best to leave the solution up to my doctor. 7. Choose your timing wisely. We're friends, so of course I want to hear the good news in your life. But if I'm having a rough day, perhaps this very moment is not the best time to share it with me. Think about it: If you just lost your job, I wouldn't turn around and tell you how I got yet another promotion at work. Why approach this any different? Read the situation, and tell me when the time is right so I can celebrate properly with you. You not calling or coming around does not make my infertility go away. I need you in my life now more than ever. 9. Give me space when I need it. I know I just said don't avoid me, but there will be times when I need some space. Trust me, I'll let you know when I need it and when I'm ready to let you back in. Sometimes I just need a day or week to grieve on my own. It's just part of the process -- it doesn't mean I don't appreciate our friendship. 10. Don't suggest I "just adopt." Adoption is a beautiful thing, but it's not right for everyone. Do you know how much it costs to adopt? It can cost $40,000 or more, and that's if the adoption goes through the first time. 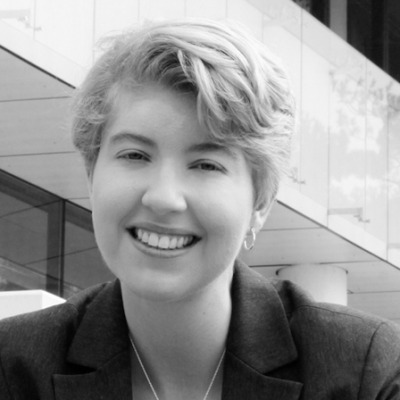 Many adopters experience "false starts," lose their initial investment, and have to start over. There is no such thing as "just" adopting. 11. Allow for the possibility I might not get my happy ending. Not every story has a happy ending, and mine might be one of them. I hope not, of course, but that's the reality of infertility. I know you look at your children and it hurts you to think I might not be able to achieve that same happiness, but instead think how I feel. Let me work through this without labeling me a Negative Nancy. BONUS: Learn more about what it means to be struggling with infertility. If you want to learn more about life with infertility, I highly recommend listening to my new weekly podcast (Beat Infertility) where we get real about infertility, empower listeners to take back control, and provide them hope for the future. Each episode features two main interviews: someone who's overcome infertility and had a baby or is currently pregnant, and someone who's still on their infertility journey. I will cover the whole range of infertility diagnoses, including Polycystic Ovary Syndrome (PCOS), endometriosis, diminished ovarian reserve, luteal phase defects, male factor infertility, recurrent miscarriages, secondary infertility, unexplained infertility, and more. How else can the fertile people in your life support you? Leave a comment below!